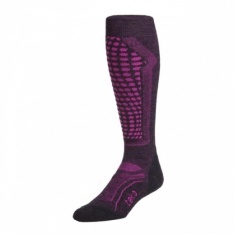 World Tour Freeride Ski socks made from MERINO wool and EVAPOR8. 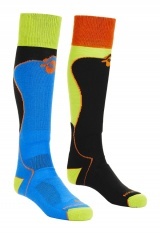 Teko Lightweight Unisex Ski socks - Twin Pack, Black and Lime. Colourful fun for happy feet! Womans Lightweight Ski socks made from MERINO wool and Evapor8.